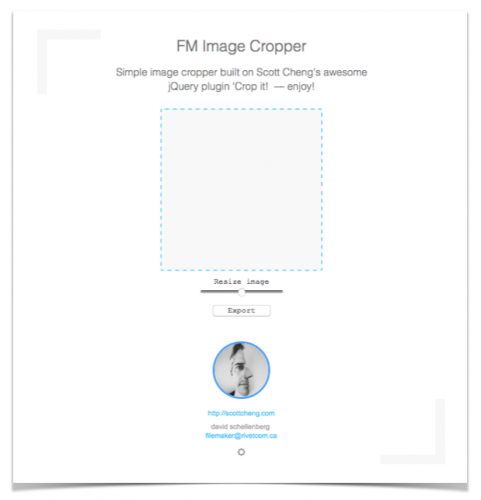 Simple image cropper built on Scott Cheng's awesome jQuery plugin 'Crop it! — enjoy! - osX 10.11 and FMP v14 tested only. - keep DB and other files in the same folder.